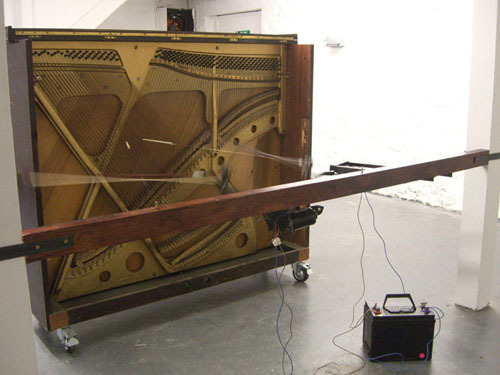 This work aims to create a dense and continuous acoustic sound, using the piano more as an amplifier than an instrument. Two guitar strings are attached to two bass strings of an stripped down upright piano. Mechanised bows play these strings, whose vibrations resonate sympathetically through the whole piano.